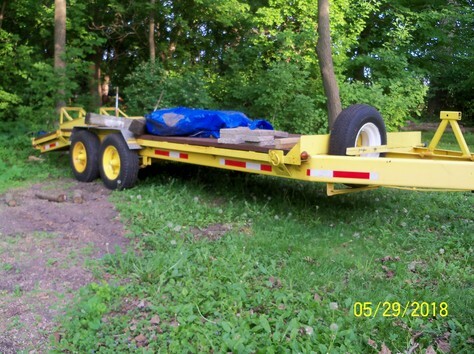 12000 GVW trailer dual axle with electric brakes. 18' bed 3' tail, with ramps. 10000 lb jack recently installed, not shown. Shown with winch receiver installed. Two spare tires included. Third axle with springs, wheels and tires available.